SKU: CCMC-1. Categories: Concrete Sealers and Cleaners, Equine Friendly. 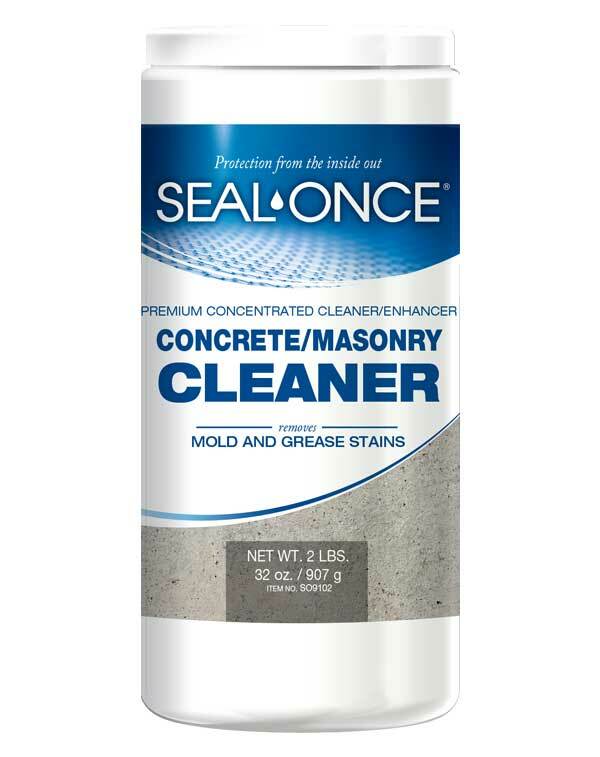 Tags: Concrete, concrete cleaner, Concrete Masonry Cleaner, mason, Masonry, masonry cleaner. New Image Coatings™ Eco-friendly Concrete Masonry Cleaner is a revolutionary 3-in-1 concentrated formula that penetrates deeply to loosen dirt for easy cleaning. 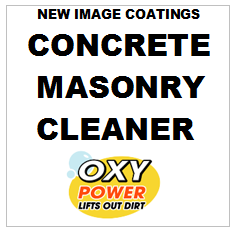 New Image Concrete Cleaner combines brighteners to restore natural color while easily and safely removing mold and mildew stains, oil, grease, tire marks, dirt or grime from all concrete/masonry. Superior long-lasting formula provides extraordinary cleaning power without harsh chemicals. Recommended to deep clean and prepare surfaces prior to applying any waterproofing or sealing product. Apply with a garden sprayer and pressure wash to clean. For each gallon of water add 1/2 cup of product, mix and stir frequently for 15 minutes prior to use. Do not store mixed product in a sealed container, due to pressure build up. Do not ingest. If swallowed drink plenty of water to dilute and seek medical attention. New Image Coatings Cleaners performance warranty and liability, whether expressed or implied, is limited to replacement of product or refund of purchase price if the cleaner product fails to perform as promised when used according to label instructions. Be the first to review “New Image Concrete Cleaner” Click here to cancel reply.